Service Contracts and the Magnuson-Moss Warranty Act: This article, by two expert attorneys, is intended to help readers navigate the subtle boundaries between the Magnuson-Moss Warranty Act and the service contract laws of the U.S. states, and to help explain the key differences between product warranties, service contracts, and insurance. PCMI Signs AmTrust for Reinsurance Software: As AmTrust looks for ways to boost its core insurance underwriting business, making it easier for clients to see the financial metrics of their reinsurance investments becomes a priority. And PCMI's modular approach to reinsurance reporting software makes it easier for AmTrust to implement. Commercial Service Contracts, Part 2: Though the terms extended warranty and service contract are used interchangeably, in a commercial setting a service contract can mean much more than an insurance-like agreement. It can include maintenance and product support, with a focus on response time and cost, and may have only incidental ties to the repair of defects or malfunctions. Commercial Service Contracts, Part 1: The importance of extended warranties sold to commercial customers is steadily increasing, as measured by the percentage of revenue they represent for manufacturers, and by the amount of business they represent for insurance companies. And in response, industry leaders have launched a new trade association for commercial service contracts. FAST Act Lightens Delivery of Privacy Notices Burden for Service Contract Industry: Service contract providers, already entangled by a web of state and federal insurance laws, must now navigate the ramifications of new privacy regulations. But if they call themselves financial institutions and follow some other rules, they could also free themselves of the need to send out annual privacy notices to their customers. Service Contract Underwriters: Well over half the service contracts sold each year to consumers are backed by publicly-traded insurance companies based in the U.S. What follows is a list of their financial strength ratings and a look at their stock market track record since 2008. Appliance Service Contract Underwriters: The names in the terms and conditions of a service contract are seldom the same as the name of the parent companies. And then there are the holding companies and investment companies that own the parents. In the retail appliance realm, we found just 10 insurance companies underwriting all service contracts. Here's a profile of each, along with links to their ultimate parents. 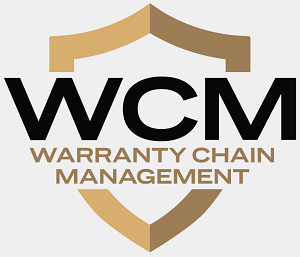 Addressing Common Business Challenges Associated with Manufacturer Warranties: Proper estimation and accounting of warranty costs isn't easy, but the benefit of doing so is enormous. Actuaries in pursuit of precise and accurate forecasts can employ techniques similar to those used in estimating the financial impact of insurance coverage, and can help a company avoid restatements and other adverse impacts that could threaten its profitability. Solar Warranties, Part 3: What happens if my manufacturer goes under? Insurance carriers may have an answer for that question, both as backers for lengthy manufacturers' warranties and as underwriters for extended warranties. Homeowners want peace of mind and so do the investors behind the huge projects. Solar Warranties, Part 2: How the manufacturers of photovoltaic systems themselves explain the risks and metrics behind their product warranties, and how a few are securing warranty insurance to help reduce those risks. Warranties During Disasters: While warranties cover defects and insurance covers damage, there is quite a bit of overlap between the two. And in the past month, disasters and disturbances have made people aware that it really can happen to them. WCM Conference, Part Three: The future of the consumer electronics industry was the subject of a panel discussion that brought together retailers, manufacturers, repair service providers, insurance underwriters and extended service contract administrators to talk about everything from OnStar to iPhone. Vehicle Service Contract Underwriters, Part 1: If you know how many vehicles were sold and how much insurance was purchased, you can make a pretty good guess of how much consumers have spent on vehicle service contracts. But who sold them? How much were they? Some answers follow. Extended Warranty Insurance Companies: All four of our imaginary investments are up, with AIG rising the least and Assurant rising the most. And now our hypothetical extended warranty stock fund has grown with the addition of four more insurance companies that also underwrite service contracts. Motorcycle Service Contracts: As with passenger cars, the policies exclude consumables, accidental damage, and routine maintenance. And as is done with RVs, they are starting to cover perils such as being stranded far from home. But some say that takes them dangerously close to the line between service contracts and insurance. Others wonder if these new bells and whistles are all that necessary. Service Contract Underwriters: The insurance companies that back service contracts are graded on their financial stability. And while the Detroit Three automakers and some of the other recipients of the TARP bailout billions get relatively low grades, most of the majors remain on the honor roll with an A- or better. Warranty Service Providers: It's all mixed up. Retailers are selling products under their own brand names and manufacturers are selling their own service contracts. Bankruptcies have exposed how precarious product warranties can be, while insurance has demonstrated how extended warranties can survive even a liquidation. Perhaps it's time for OEMs to think about partnering with administrators and insurance companies? Warranty Insurance: Properly insured and administered, an extended warranty can survive the bankruptcy of a retailer, dealer, or manufacturer. And in cases where customers doubt the survivability of a manufacturer's product warranties, insurance can reduce uncertainty and build confidence. Could this also work in Detroit? 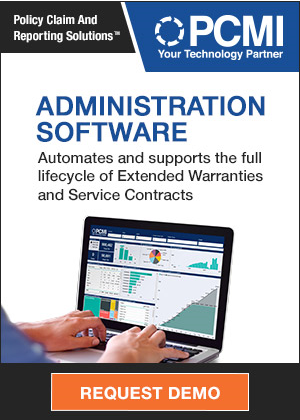 Manufacturer's Extended Warranties: Although retailers dominate the business, a handful of manufacturers do very well for themselves in the extended warranty business. Now a major bank's insurance unit wants to help more of them to launch service plan sales efforts. Selling Customer Care: While an extended warranty is a type of insurance contract, NEW sells it as an enhanced customer assistance program, promising consumers 24x7 access to advice and boosting customer loyalty for retailers. The SAFE Guys: As with manufacturer's product warranties, the extended warranty industry is huge yet easy to take for granted. Two industry experts explain why they left the comfort of the insurance business to open their own extended warranty consultancy. Extended Warranties: Heard of NAT? Even some within the automotive and insurance industries the company serves haven't. But with marquee clients such as Universal Warranty on board and a focus on meeting and greeting industry players, all that's about to change.